Palgrave Macmillan editor Allie Troyanos participated in a workshop at Duke University that demonstrated the partnership between publishers and academics in promoting and strengthening a growing field. Complex global challenges, such as health and well-being, can spark emerging fields of study as scholars further research in the subject area. And when they do, publishers play an important role in partnership with academics to help foster those fields. One example is the health humanities—which incorporates arts and humanities in studies of healthcare, health and well-being. At a recent workshop, I got a close-up view of how the academia–publishing partnership can benefit a developing field. On March 22 and 23, 2018, I had the opportunity to participate in a workshop at Duke University, sponsored by the Franklin Humanities Institute and the Health Humanities Lab. The program was entitled “Future Trends in Health Humanities Publishing and Pedagogy.” I was invited to present alongside Palgrave author Esther Jones, of Clark University, (author of Medicine and Ethics in Black Women’s Speculative Fiction, 2015) to speak about her forthcoming major reference work project entitled The Palgrave Handbook of Global Health Humanities and Race (expected 2020). The goals of the workshop were to define the field of the health humanities, discuss the curriculum in this area, hear about book projects in progress, and have an open dialogue about publishing. On Thursday in his keynote lecture, Craig Klugman of DePaul University gave an overview of the recent creation of the “health humanities” and explained why academics have moved on from the more limiting term “medical humanities.” Literary studies was the first discipline in the humanities to be “invited” into the sphere of medicine and science when medical school curriculums began adding literature and “narrative medicine” to their requirements in the 1960s and 1970s. Since then, health humanities studies have expanded beyond the health professions. Erin Lamb, of Hiram College, argued in her keynote on Friday that the best place to begin teaching the health humanities is at the undergraduate level. She cited a report, entitled “Health Humanities Baccalaureate Programs in the United States,” which she co-wrote (Berry, Lamb, and Jones, 2017). The report identifies 68 total undergraduate health humanities programs in the U.S. confirmed for 2018, a 300 percent increase from just 15 programs in 2000. 2015 saw the founding of the Health Humanities Consortium, the same year that Palgrave Macmillan published Health Humanities (Bates, Bleakley, and Goodman, 2014). As this area has been steadily growing with the creation of undergraduate and graduate programs and the establishment of professional societies, an increase in related publishing topics has followed. 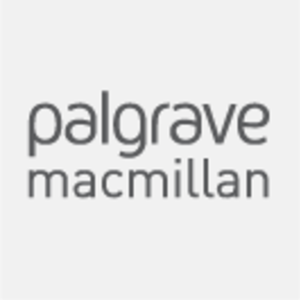 Palgrave Macmillan has been committed to promoting the humanities and has actively developed our publishing in the area of literature and science broadly. Jones’ volume seeks to consider how race is defined across the globe, how it intersects with other sociopolitical categories such as poverty, and what that means for understanding health disparities. In an age when the humanities are being called upon not only to defend themselves but also to prepare students for the workforce, the health humanities might be viewed as an area of the “applied humanities.” As stated in the first chapter of Health Humanities, the area of health humanities is marked by “valuing…therapeutic applications of arts and humanities to the benefit of any nation’s health and social well-being,” “democratising therapeutic interventions,” and “championing increased sharing of the arts and humanities capacities and resources of the professional health workforce, informal carers and patients themselves in enhancing healthcare environments” (Crawford et al. 2015). As a field, the health humanities demonstrates the application of the critical and theoretical foundations of the humanities and considers the value of social justice and compassion in relation to global health. In other words, the health humanities is a case study of the value of the humanities. On Thursday night we attended a performance entitled “Vamping: Aging, Memory Loss & End-of-Life Ethics,” written and performed by Kali Quinn. Quinn was at Duke for a two-week medical humanities residency that included teaching two classes at Duke, “Medical Stories on Stage” and “Medical Ethics & End of Life Care.” After the performance, I was struck by the stories shared during the discussion—many attendees had experiences being a caregiver of a parent, grandparent, partner, etc. We in the audience explored our feelings and had the chance to think broadly about health and aging in our communities and in our country. This performance and the classes at Duke are an example of how the health humanities is being contributed to outside of literary studies—the areas of theater and performance as well as philosophy and ethics studies are participating in the health humanities. On the whole, this workshop highlighted the important scholarship and research being done in the area of the health humanities and the partnership between publishers and academics in solidifying and shaping fields of study. As a publisher, Palgrave Macmillan, Springer (publisher of Journal of the Medical Humanities, and Springer Nature together contribute significantly to this work. As Palgrave Macmillan has actively developed our commissioning in this area—from our series Palgrave Studies in Literature, Science and Medicine, to our handbook series Palgrave Handbooks of Literature and Science, to the stand-alone monographs, volumes, textbooks, and reference works we’ve published in the field across our subject lists in the humanities, our commitment to the intersections of the humanities and science and the health humanities is clear. It is encouraging to be a key player in the advancement of publishing in the health humanities, to collaborate with academics in the field, and to contribute to the discussion about publishing in this area alongside other publishers. Bates, Victoria, Bleakley, Alan, Goodman, Sam. “A Brief History of the Health Humanities” in Health and the Arts: Approaches to the Medical Humanities. New York: Routledge, 2014. p. 281-283. Crawford, Paul, Brown, Brian, Baker, Charley, Tischler, Victoria, Adams, Bryan. Health Humanities. Basingstoke: Palgrave Macmillan, 2015. By Allie Troyanos, Palgrave Macmillan. Allie is Editor at Palgrave Macmillan commissioning in the area of literature. She commissions monographs, handbooks, textbooks and reference works. From medieval literature to contemporary fiction, her list focuses on interdisciplinary research in areas such as literature and science, literature and economics, and literature and music as well as theoretical approaches including geocriticism, affect theory and mobilities studies.